DENVER, Colo. (June 17, 2016) – After announcing the renewal for a second season, “The Joey Canyon Show” has signed a deal with the Regional Emmy award-winning Comcast Entertainment Television network, which presents programming dedicated to the state of Colorado. "I am very pleased to announce that starting June 19th, 2016, ‘The Joey Canyon Show’ will begin airing on Comcast Entertainment Television. 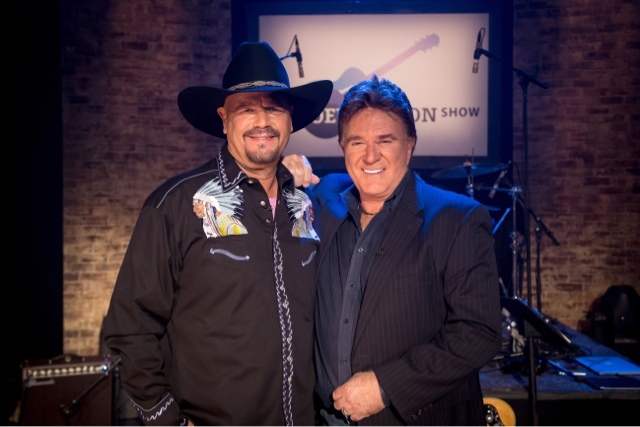 This will be a welcome addition to our audience base in my home state of Colorado and fans of those in Utah, while adding 1.25 million viewers who can watch our Traditional Country Music variety show on Comcast," says Joey Canyon. The debut season of “The Joey Canyon Show” has been a successful one, receiving rave reviews, fan praise, and industry recognition. The 30-minute series began airing in January and has since converted to a 60-minute format. So far in season one, the show is co-hosted by Dean Miller and has featured artists like Mark Wills, T.G. Sheppard, Wynn Varble, Irlene Mandrell, Highway 101, Moe Bandy and more. The show will start airing on Comcast Entertainment Television on XFINITY channel 900 (HD) and 105 in Colorado, and XFINITY channel 6 in Utah, this Sunday, June 19th, for an encore of the first half of season one. The second half of season one will begin airing July 17th on prime-time slots: Sunday evenings at 8:30pm MDT and Tuesday evenings at 7:30pm MDT, with at least two additional airings on CET each week.